Ethan joined Giant Development in 2012 after 10 years in the public sector and 4 years in the home building industry. He is responsible for the logistical development of the company’s assets, and ensures the members of our team achieves our customer’s goals. 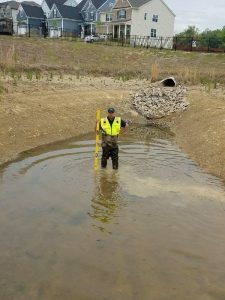 He has 20 years in the construction industry with an emphasis on stormwater, erosion control, and specialized services. 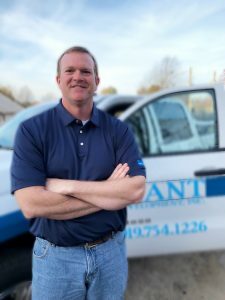 Ethan graduated from NC State University in 1997 with a Bachelor of Science degree in Natural Resources, with a minor in Environmental Wetland Sciences. He played football at NC State in the 1992-1993 season. He’s a fan of the Mets, is a dog lover, and playing Dungeons and Dragons. Ethan is a Certified Professional in Erosion and Sediment Control #2671. 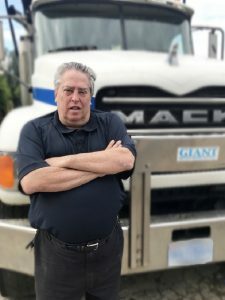 Larry has 42 years experience working in fleet management and fleet purchasing, and has been with Giant Development for the past two years. He has a major in Management with a minor in Marketing from C.W. Post University. He proudly supports his daughter who plays on the Appalachian State soccer team and enjoys watching sports of all kinds. Yahir has been with our team for 14 years, and currently serves as our Senior Project Manager. He manages all crews and sites for grading and curb, stone, and asphalt. He’s lived in the Raleigh area for 20 years, and enjoys rodeos, rock sculptures, and spending time with his family. Morgan joined the Giant Development team in February of 2019. As our Senior Project Manager and Problem Solver, he helps to ensure that all operations run as smoothly and effectively as possible. He has worked in the construction industry for 19 years. Morgan graduated from NCSU, where he majored in Civil Engineering with a minor in Business, and has lived in the Raleigh area for 24 years. He is the father of three girls and is very involved in their soccer activities. 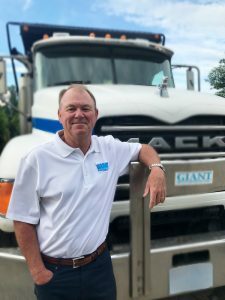 John’s a recent addition to the Giant Development team who’s a Raleigh native with 31 years of experience with business development. He pursues strategic opportunities for Giant and cultivates long-term relationships with our customers. He has an MBA from UNC-Chapel Hill Kenan Flagler School of Business and a Business Management degree from Appalachian State. He’s a member of the Wake County Home Builders Association and enjoys playing golf, hunting, fishing, and flying. 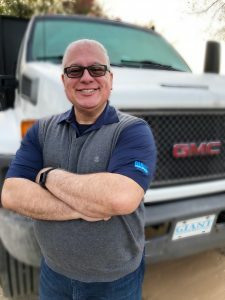 Donnie joined our team in May of 2017 and has 35 years of experience as an estimator. He ensures that projects are accurately estimated and bidded on. He also sets up fields with GPS and subcontractors. Donnie has a BS in Civil Engineering from North Carolina State University and has lived in the Raleigh area for 57 years. Martin joined our team in January of 2019. As our Senior Estimator, he works with AGTEK (a clearing, grading, and paving software), Plangrid (a tool used to maintain the information about each project and its’ plan drawings), and is also responsible for contracting and subcontracting. Martin received his BA degree in Art of Communication with a concentration in Community Development from Venezuela College, and a Master of Science Spanish Language Edition from Nova Southwestern University in Tampa, FL. He has lived in Raleigh for 5 years. Martin is a Native Venezuelan, a professional photographer, and the father of two girls. When he’s not found working on a new construction project, he loves to spend time with his family and go mountain biking. Martin has also received awards as a journalist on the topics of environment and tourism. 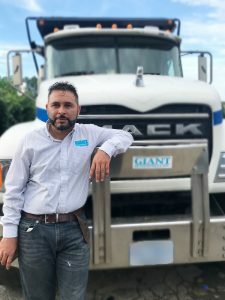 Juan’s been our team’s Erosion Control and Paving Superintendent for the past 10 years. He manages all aspects of our erosion control, paving, and asphalt services. 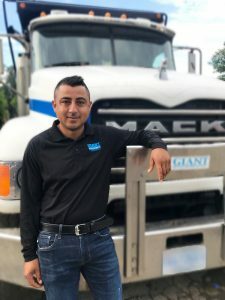 He’s lived in the Raleigh area for the past 15 years and enjoys spending time with his family. Larry, aka Tweety, has been a member of the Giant Development team since 1999. 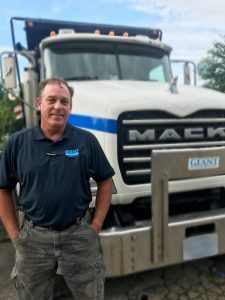 He is our truck and asphalt foreman, and brings 35 years of construction experience to our team. Tweety has lived in the Raleigh area throughout his whole life. Clayton has worked with the Giant Development team for seven years. 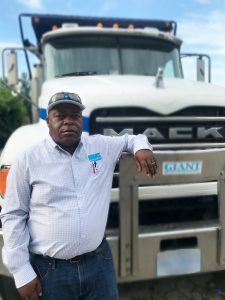 As a project manager, he’s responsible for the daily organization for the logging, trucking, and grinding crews assuring completion of forestry operations in a timely fashion. He has 15 years of experience in the forestry industry. Clayton served as a Captain in the US Merchant Marines. 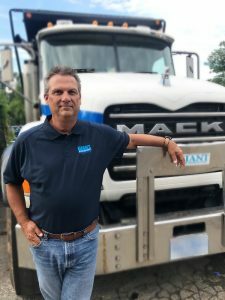 He got his Associates Degree from the University of North Carolina Greenboro and the University of North Carolina Charlotte, and then settled in the Raleigh area for the past 20 years. He’s the father to 18-year old twin boys. Chad joined the Giant Development team in February of 2019 as our Forestry Manager. His responsibilities include running of the grinding, chipping, logging, and recycling operations. He has worked in the field for over 20 years. Born and raised in the Raleigh area, Chad went onto graduate from Boston College. He now enjoys assisting his daughters with their softball teams as well as boating and all forms of motorsports.